Can you make it9 A: We provide OEM service which including logo printing, gift box design and carton design. Q: Shall we pay Extral Cost for OEM service9 A: There are quantity requirement for the OEM service for different product. If the quantity meet with this requirement then the is totally free. Wenzhou Qizhou Electric Appliance Co., Ltd. Prevents hair regrowth with proven hair reduction after 1 treatment Safety skin tone sensor, and cool to the touch pulses Features: Fast and painless. The light produces heat, which is transferred to the hair follicle and triggers it to go into a resting phase. 7. How about the lead time for mass production9 --- Generally, the lead time is 15-35 days after getting the confirmation of the order and deposit. Electric USB Rechargeable Hair Removal Set: Rechargeable feature makes it a money saver. 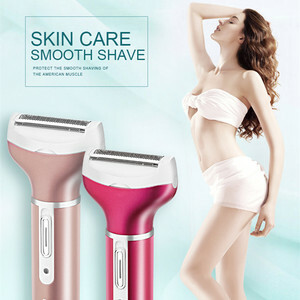 5 in 1 Electric USB Rechargeable Hair Shaver Set for Women 5 in 1 Hair Remover Kit: Money saver. 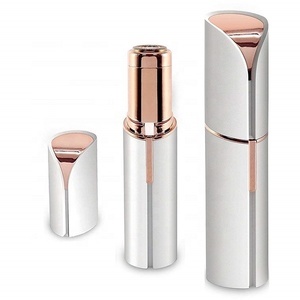 Ideal Choice to Buy as a Gift: It has elegant appearance, and made of stainless steel. Alibaba.com offers 638 nose epilator products. About 44% of these are epilator, 5% are laser beauty equipment, and 1% are ipl machine. A wide variety of nose epilator options are available to you, such as stationary, portable. You can also choose from yes, no. As well as from free samples. There are 561 nose epilator suppliers, mainly located in Asia. The top supplying countries are China (Mainland), Pakistan, and India, which supply 98%, 1%, and 1% of nose epilator respectively. Nose epilator products are most popular in North America, Western Europe, and Eastern Europe. You can ensure product safety by selecting from certified suppliers, including 104 with ISO9001, 64 with Other, and 56 with ISO14001 certification.